An acquaintance from high school started a fashion blog, Derek Du Jour, which is honestly incredible. So honest, inspiring, and interesting. I've fallen back in love with Beauty Bakerie Lip Whips. I took a little break from my Mon Cheri, but it is the most long-lasting liquid lipstick I've yet to find. Currently thinking I might need another shade, maybe Versailles? I paint my nails often to prevent myself from biting them. I love Essie polishes, but recently I've been really into these Gel Finish Polishes from Avon. I have a handful of colors and they just dry differently than my other polishes. They look shiny and really creamy on the nails. Though they don't last as long as an actual gel manicure, they last pretty decently for an at-home polish. I also didn't know they had so many new colors! I've been using the Qapital app to try and save some money and I find it extremely fun and rewarding. The app is designed well, pretty, and just works in the background of my life. I saved up for my scooter cover without even feeling like I was putting any money away! You set rules and it's very customizable. Also, if you use this link to sign up, we both get $5! I bought these Pylo bell bottoms a while ago and just got them tailored and LOVE them. These are some serious bells, my friend. The only bummer is that they only come in a 35" inseam, which is a little nutty to me. I'm 5'8" and usually wear 3inch heels and I still needed a good 3 inches tailored off. I believe they now make other bells with shorter inseams, but be warned with these. Also, their return shipping is free, but they only except things up to 14 days later. It's always hard for me to find books I like. I read descriptions. They all sound similar and I don't know if I really would like it. I hear about a book a few times and then I start to see them all over the place, so I decide to just buy it and see how it goes. Night Circus was one of those books. It was fabulous. One of those books that you can't stop reading. The book has several different related plots that keep your interest thoughout the entire book. Great character development and the characters are relatable and interesting in multiple ways. It has plot twists and turns that you don't see coming. 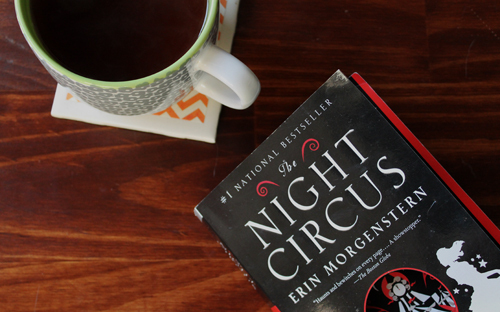 I would say that I don't usually read fantasy book, but Night Circus doesn't feel like a fantasy book. It doesn't feel like you are reading a book geared towards young adults, though it is an easy read, which is something that I tend to think about fantasy books. So all in all, I really enjoyed it and would highly reccomend it. This would make a lovely summer read, something to read sitting on the beach or by the pool. Happy reading! See some other books I read during my summer reading last year. 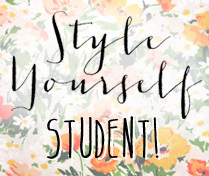 When I heard about the Style Yourself Ecourse that Delightfully Tacky was offering, I immediately knew that it was something that I would be interested in. As much am I would like to tell you that I'm a positive person with confidence in myself and the way I look, that's not really the case. I am a firm believer in everyone is beautiful, no matter shape, color, or size. Perfection is in the eye of the beholder and it is more about being healthy than being a size 0. But sometimes everyone needs a little reminder of this, and that's exactly how I felt about this course. 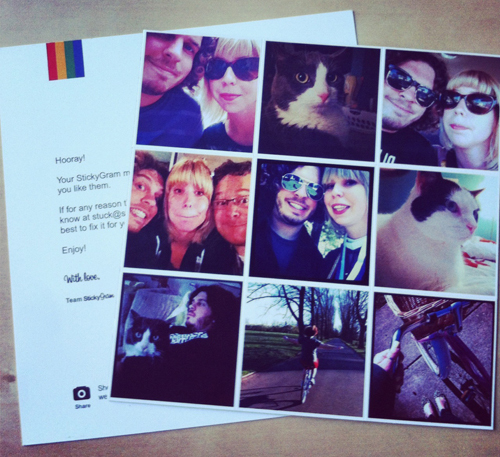 It's full of positive words, beautiful photos of every personal style and inspirations, and ideas for mixing and matching. But what I think is the most important thing that I will take away from the course is a renewed sense in feeling beautiful and a confidence to go for it. Dress the way you want and when you feel great about the way you look, your outlook on your day will be sunnier. 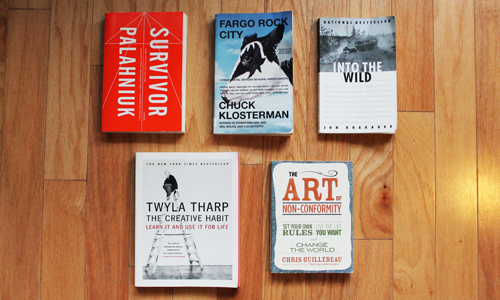 Some of these I loved (Survivor by Chuck Palahniuk, Fargo Rock City by Chuck Klosterman, and The Art of Non-Conformity by Chris Guillebeau) and the other two were pretty good but not awesome (The Creative Habit by Twyla Tharp and Into the Wild by Jon Krakauer). I knew that i would love Fargo Rock City and Survivor, Palahniuk and Klosterman are two of my favorite authors, but I was surprised that The Art of Non-Conformity was my absolute favorite. I actually purchased this for T, but he was reading another book and I decided to read it myself. It completely changed my thought process about my life and what I want it to become. If you are on the fence about your career, job, life....this really makes you think and gives you ideas and motivation to do something.